In talking “About Barn Home Designs” we are really talking about the entire process of dismantling early historical structures, particularly historic barns, for repurposed uses and recycling the many and varied additional antique building materials that are gleaned from this kind of endeavor. Recycling and repurposing these wonderful historical structures, antique barns, and building materials is not only an environmentally sound concept, it is also practical. The majority of our barn frames and other vintage lumbers, including wide plank flooring and paneling, is reclaimed from structures that are 100-200 plus years old. These woods feature deep, beautiful colors and a rich patina that can only be bestowed by time. Very old woods like this used in early construction were harvested many times from first growth trees in America. The construction woods these large first growth trees produced generally provided a tighter, denser grain which means harder, stronger and more durable woods. Our beautiful honey brown colored white pine, also known as pumpkin pine, is much heavier and harder than the new, paler white pine that is available today. 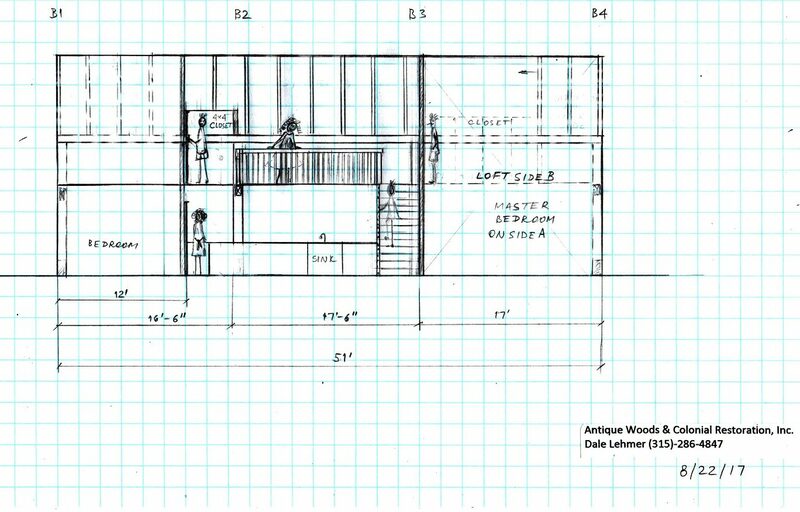 During the dismantling process, each barn frame or structure is marked, photographed, and a scaled drawing is created before dismantling begins. 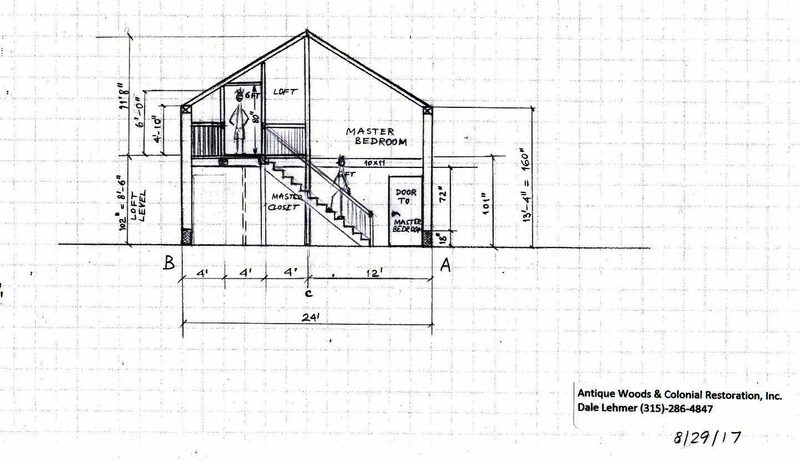 This helps greatly with the barn home design and overall barn plans. The roof, siding, rafters, and flooring are removed by hand to be reused. To prevent breaking or damaging the fine joinery, the wooden pins that hold the mortise and tenon joinery together are driven out or drilled. A crane is brought in at this point to remove small sections of the barn frame or log home (in reverse order of how it was put up) and lay them on the ground for final dismantling. Over the past 4 plus decades, we have managed the dismantling of well over a 1000 barn frames, of which we have helped develop barn plans and barn home designs and rebuilt over several hundred into barns, barn home conversions, or post-and-beam additions to existing houses. We have also done numerous antique log houses and other interesting structures including a covered bridge and several churches and train stations. Feel free to check out our Photo Gallery to see some of our work. Mixed in with all this work we also managed to do complete restorations of many early colonial homes, using many of the vintage lumbers we gained in our deconstructing work including wide plank flooring and hand planed and beaded wall boards that were used as room dividers in many of these very early houses. White and Red Oak, Native American Chestnut (now extinct), White and Yellow Pine, Heart Pine (Long Leaf Yellow Pine), Poplar, Elm, Beech, Cedar and Maple are some of the woods we regularly come into contact with and have in stock. If we don’t have it, I usually know where to get it as we have also developed a large network of other antique barn suppliers and dealers all over the country that I am on a first name basis with. Over the years we have also developed a network of other folks in the barn-dismantling business in Canada, and we now currently import many of our barn frames and antiquelumbers already professionally dismantled. We then bring these barn frames to our shop to do any repairs, cleaning and final tune up before shipping to its new owner. We find the barn frames in Canada to generally be superior than most American frames (that are available) due to the very large sized timbers they tend to use there. Perhaps they had more large timber stands or perhaps they built barns stronger due to snow loads, but generally speaking, the frames from Canada are better suited for rebuilding, particularly for barn-home conversions. If you are going to go to the expense and work of building a barn-home conversion, you might as well do it with a spectacular barn frame. Larger timbers are a big part of what makes a barn frame spectacular. During the whole process we will be assisting with the barn home designs and barn plans. My Forman, Rick Haller–30 years of experience working full time with barns. 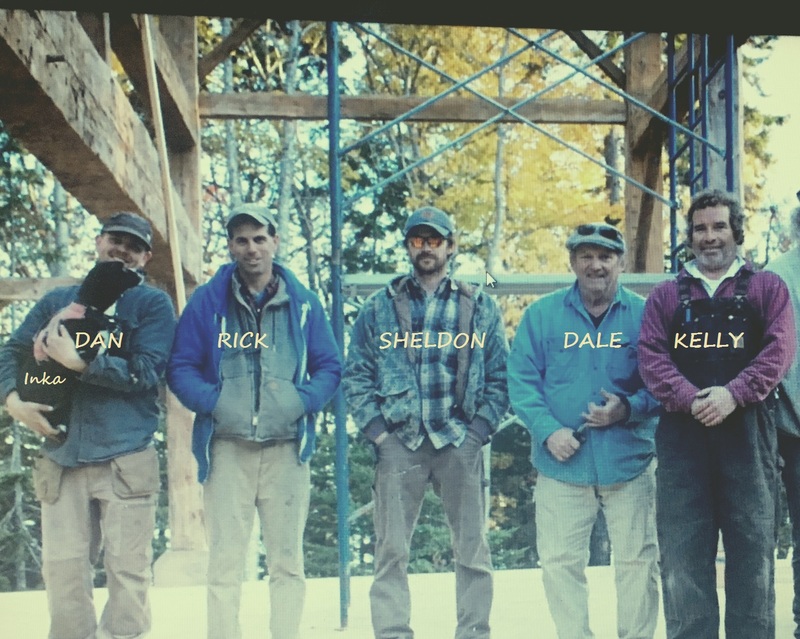 We also have other experienced “barn friends” that have worked with us over the years that come to help with our barn home projects from time to time, and of course me, Dale Lehmer, with 44 years of intense full time experience. I try to make it to all our barn raisings. I don’t climb much anymore due to my age but I do a lot of ground work and watch very intently to make sure that first and foremost the crew is safe and no one gets hurt, and then to assure that everything gets done to the highest possible standards of this kind of work. Combined, we have close to 150 years of experience working with antique barns, barn home conversions, antique log homes and other historic structures. We have logged our 10,000 hrs and then some as they say. I will put our crew up with any in the country in terms of experience, knowledge, safety and skill, and also just being nice guys with great work ethics. This is one of the reasons I would recommend that you give us good look when deciding on who you would like to work with in your quest for a barn home or other project using repurposed structures and materials. Barn Homes are our speciality. Today, Antique Woods specializes in locating spectacular antique barn frames and historic structures and then working with clients such as yourselves on a step by step basis in the barn home design and management of these projects. We can also help you develop barn home floor plans and do architectural drawings to almost any level you want with the exception of mechanicals. We are not a large company and can only do a limited number of jobs at one time, and that is the way we like it. I pride myself in giving very close personal involvement with all our clients to help to assist you to design and build the barn home you envision. This personal attention to our potential and active clients is one of the other main reasons I recommend you give us a good look when picking a barn frame company. Please take the time to ready through all of our web sites. I have spent a lot of time writing about the entire barn-to-home process and repurposed structures and materials. If you have gotten this far I am sure you would find it helpful and at least interesting.